Glad Tidings Christian Academy and Early Childhood Development Center didn't have electricity for five days. KANSAS CITY, Mo. — Glad Tidings Christian Academy and Early Childhood Development Center didn't have electricity for five days. The daycare generally has more than 50 kids each day, spread out across several classrooms. Since Friday, they were stuck in two rooms because it's all their generator will warm and power. 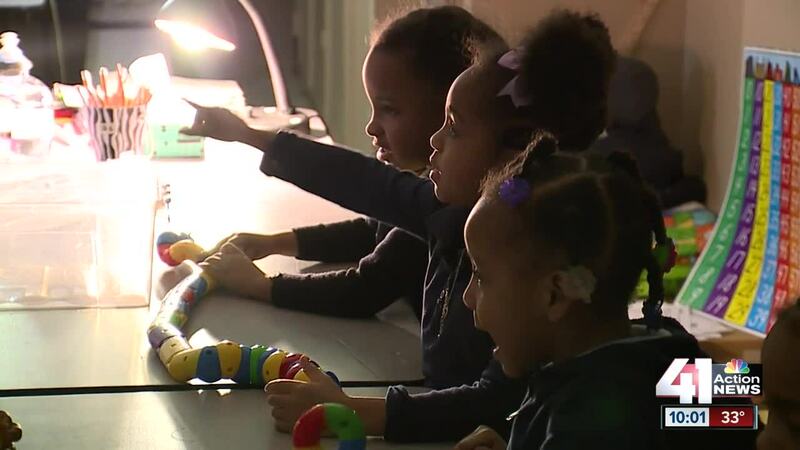 Errolyn Fraser, the administrator at Glad Tidings Academy, said Kansas City Power and Light gave them, "Good promises that they're busy and they're going to try to get to us as soon as possible, but that's not good enough for our situation." Fraser is making regular trips to a nearby gas station to fuel the generator, and the kids are limited in their activities. "It is crazy because those are little people and they need the outlet of running and riding and that kind of stuff and we're not able to give that to them," she said. Shakeelha Thompson, whose five-year-old daughter attends Glad Tidings, had this message for KCP&L. "I don't want to say work harder, because I know they're trying to do what they can but we really need our electricity. Our school really needs it." KCP&L told 41 Action News a crew was assigned to restore the power at the daycare and, "The power lines in that area sustained a lot of damage and crews have been working on the repairs." Late Tuesday night, the utility informed us that the electricity was back on at Glad Tidings.